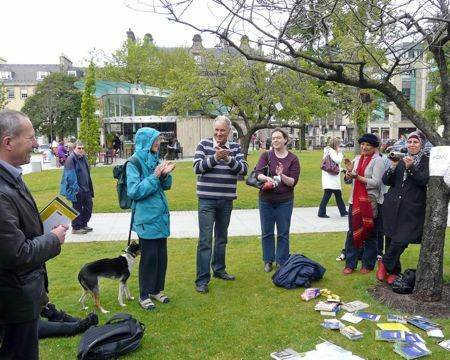 Spotted in The Poetry Garden last year: Gordon is the one in the stripey jumper. Meet a man of parts. Sunday’s lecture in McDonald Road Library is by an academic combining a remarkable cluster of interests and talents. Tariq Muneer – poet and Professor of Energy Engineering at Edinburgh Napier University – will present Tales of Alhambra and Moorish Spain from 2-4pm on Sunday 18th July.